Family birthdays! Grandma's birthday was on Monday and of course I couldn't be there to help her celebrate. Those 2000 miles always feel longer and harder when it's someone's birthday. Fortunately, Grandma got to hear these cute kids sing her Happy Birthday! The weekend!! We have had a LOT going on lately with visitors in town and traveling to both Georgia and Louisiana. I am BEYOND ready for a nice quiet weekend at home before we have MORE madness ensue! I see lots of movies, snuggling with this one and take out in our future. Planning away for our family beach vacation. 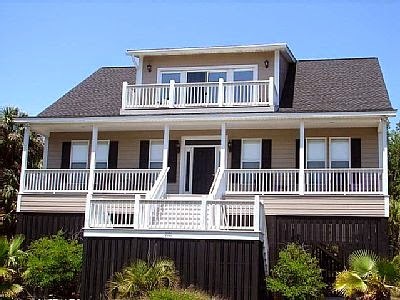 We are going to Edisto Beach in South Carolina June 28 - July 5! Every year about 15 of my family members get a house together on the beach for a week. AJ and I have not be able to go the past couple of years, so I am BEYOND excited. We are in charge of groceries, so we are planning away what we will be cooking up for the family. Side note: isn't our house gorgeous?? Sprucing up my spring and summer wardrobe with a few new staple pieces. I mentioned a few weeks ago, I had fallen IN LOVE with Matilda Jane. Well my pants came in this week and they are everything I could ever hope for. Maybe if you scroll down, you might get a little peak at 'em! I feel like I talk about The Duggars every week, but they ARE what I'm watching on Tuesday nights, so it's fresh on my mind. 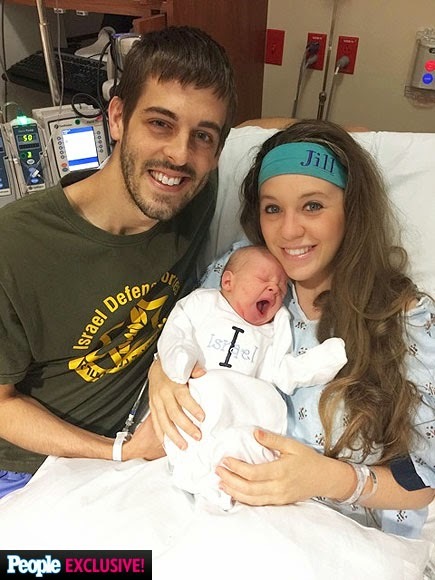 Last night was Jill's birth special. Home girl was in labor for 72 HOURS!! Can you even imagine?? She stayed calm throughout it like a champ! Finally she had to have an emergency C-section to give birth to her HUGE 9 lb, 10 oz baby! I needed a little okay a LOT of help getting up this morning and getting out the door. Blasting this on my phone in the bathroom while getting ready, sure did make it a little easier. Something about getting your praise on that just helps the day get going! I'm loving how well my light pink polish goes with my favorite army green jacket. Maybe I need to get a light pink shirt to go up under it?? I'm normally super against pre-packaged meals and boxed junk for dinner. HOWEVER, I am a sucker for a really good deal and equally yummy food. So I have been making this to keep in the fridge every week. 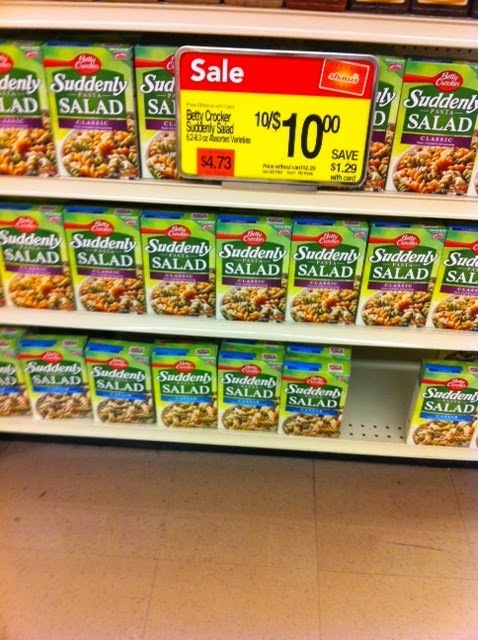 I buy the box Suddenly Salad stuff (a lot of times they have it on sale for $1!) and toss in cherry tomatoes. It often needs a little doctoring - I will throw in whatever salad dressing is in the fridge and a little salt and pepper. It has been so nice to have a pre-made side dish or a small snack in the afternoon. THESE earrings! I have seen these earrings on girls everywhere and have had some serious jewelry envy. I had not even looked into purchasing them, because I just figured they were $100+! Little did I know I can get this pop of color on MY ears for $38!! So happening this weekend. Heyy!! My NEW Matilda Jane pants. I was weary about wearing them to work, but I think they look totally professional with my JCrew blazer and cute layer necklaces. AND I have already received several compliments on my outfit. Lookin cute and being comfy. Win - Win!